Get 48-hour shipping on drop-in refrigeration systems with Quick Ship! 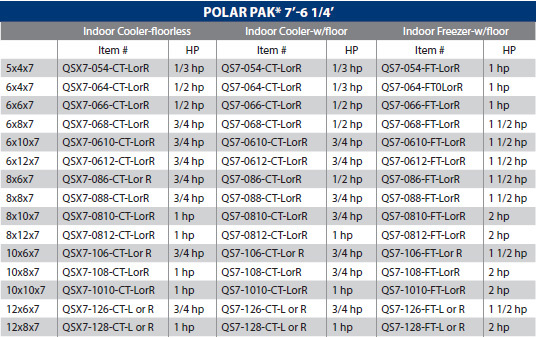 * Top mount refrigeration only for quick ship program. Actual height for units without floors is 6’ 3 3/4”. Actual height for units with floors is 6’ 6 1/4”. 26 x 78 door, right or left hinged, no options. 26 gauge Stucco Embossed Galvalume Steel, interior and exterior. Outdoor units not available as Quick Ship. 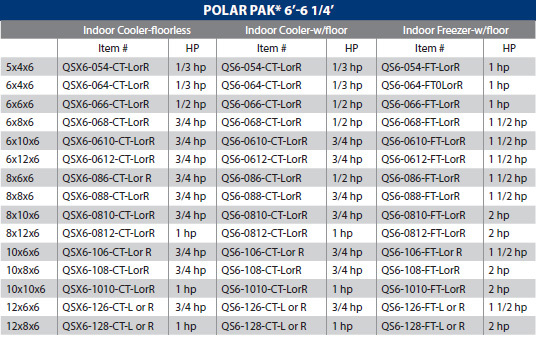 * Top mount refrigeration only for quick ship program. Actual height for units without floors is 7’ 3 3/4”. Actual height for units with floors is 7’ 6 1/4”. 26 x 78 door, right or left hinged, no options. * Orders must be received by 12 Noon Central Time for 48-hour shipping. Subject to credit approval.